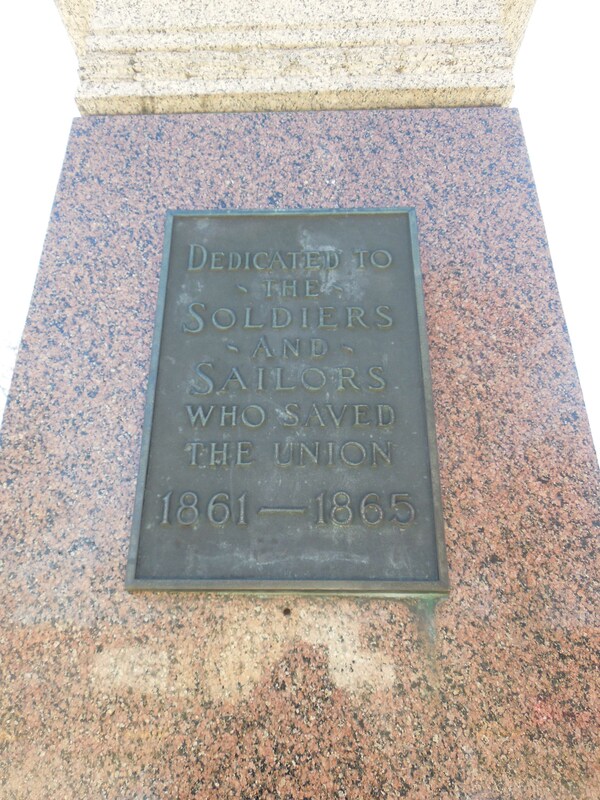 On July 4, 1921, the city of Northfield dedicated the gray and pink marble monument to “The Soldiers and Sailors who saved the Union, 1861-1865.” By the early 1930s, both colleges celebrated their respective homecoming football games by “snake dancing” or parading to downtown Northfield. To show school spirit, the eagle was turned to face the respective school. After World War II, the current tradition of “turning the eagle” developed between the two colleges. 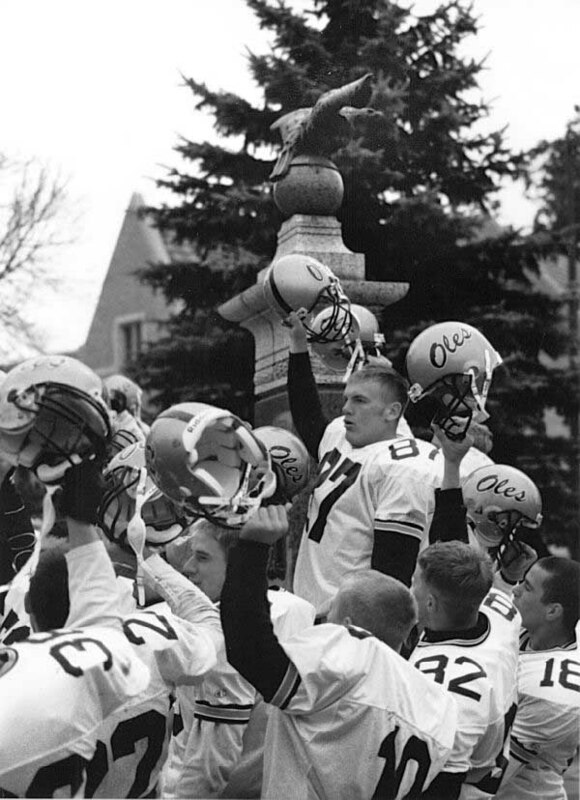 Since that time the eagle has swapped its view many times, including streaks for both sides: Knights from 1990 to 1996; and Oles from 1964 to 1980 and 1997 to 2007. As of 2014, the eagle faces St. Olaf’s Manitou Heights. 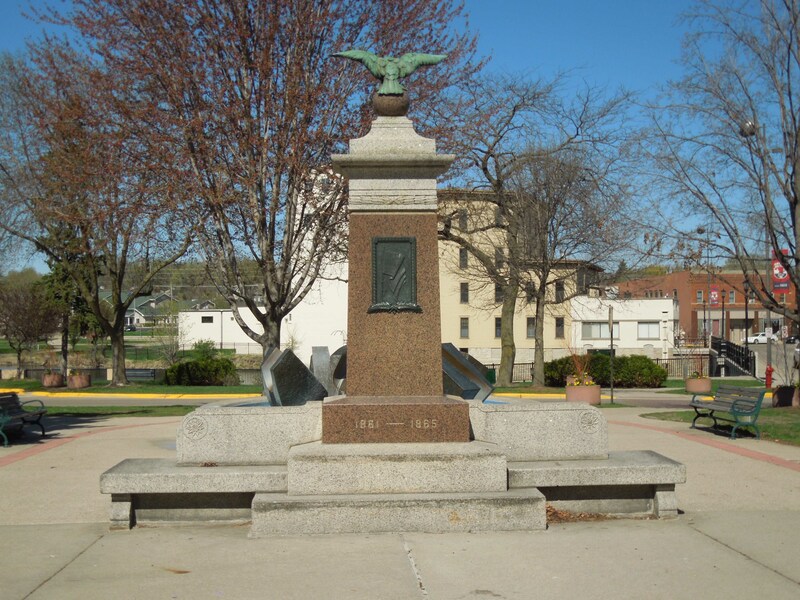 But the tradition may change as the city of Northfield contemplates renovating Bridge Square; a few redevelopment plans call for moving the monument to another site, eagle and all. 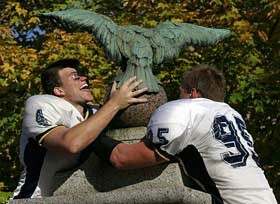 In 2008, Carleton College seniors Mac McDonald, left, and John Hanks turn Northfield’s eagle to face the Carleton campus. 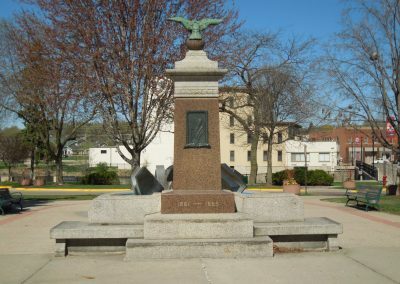 The eagle atop the Civil War monument in Bridge Square finally turns to face Manitou Heights (and for another ten years). 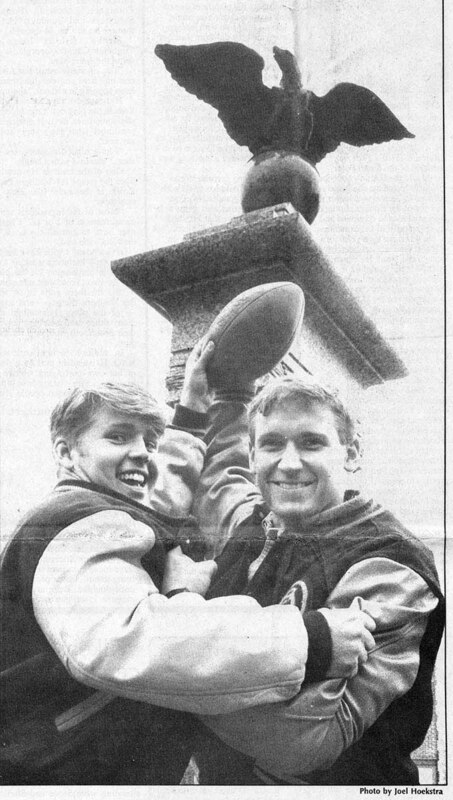 The Knights held the eagle’s gaze from 1990 to 1996. Knights captain T.J. Rogness (left) and Ole Eric Lien. 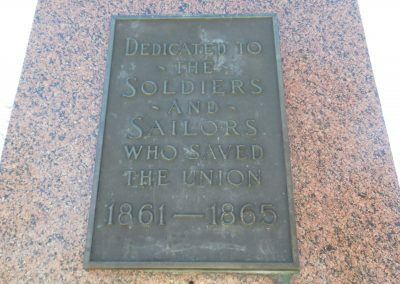 The inscription on the Civil War monument in Bridge Square in downtown Northfield. 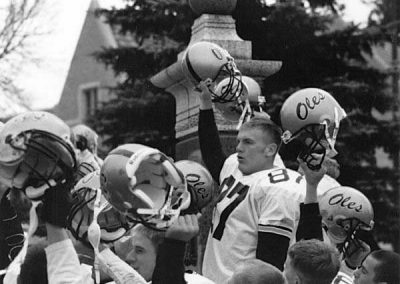 The eagle atop the Civil War monument located in Bridge Square in downtown Northfield is turned in this photograph to face St. Olaf, the victors of the football game versus Carleton.